Like many homeowners, your attic space is probably the least used room in your home. And as far as your attic insulation in concerned, the ‘out of sight, out of mind’ mentality probably applies here as well. Sufficient attic insulation has many benefits, including the reduction of your energy bills and the protection of your roofing system. And while attic insulation can be topped up in order to reach the recommended R-value for your area, a complete removal prior to installation may be the best idea. Fire/Smoke Saturation: If your home or business has recently experienced a fire, there is a good chance that smoke has saturated your attic insulation. Even if the fire itself did not come in contact with your existing attic insulation, as smoke does tend to permeate materials, your attic insulation has likely been affected. Replacing your attic insulation in this instance will help to reduce the smoke smell, while also improving your home or buildings air quality. Roof Leaks/Moisture Saturation: A leaky roof, caused by ice dams, age, or neglect, can seriously damage your attic insulation. Moisture build-up, and water infiltration can increase the likelihood of mold and mildew development within your attic space. This mold growth can seriously affect the health of the people living within the home, and the damage it can cause to your attic insulation is significant. If there is a chance that your attic insulation may have gotten wet, there is a fairly good chance that it needs to be removed, and replaced. Rodent/Insect/Vermin Infestation: Insects, rodents and other pests love attic spaces, though your attic space doesn’t love them. Feces, urine, and other unmentionables left behind by these critters can seriously damage your attic insulation. Even if you’ve gotten rid of the vermin themselves, the filth that stays behind can be incredibly damaging to you, and your families health. In order to ensure that the air quality within your home is free from allergens and irritants, it is highly recommended that you have your attic insulation removed and replaced as soon as possible. Mold: If mold has been spotted in your attic space, even if it’s not yet visible on your insulation, that insulation has to go. During the mold removal process, mold spores can imbed themselves within your existing attic insulation, leaving the issue just as bad as before. If you notice mold anywhere in your attic space, your attic insulation must be removed along with the mold, to ensure that your family can breathe freely for years to come. Older/Vermiculite Insulation: If you own an older home, and have not had an attic insulation replacement for quite some time, your attic may contain vermiculite-based. This type of attic insulation has been known to contain asbestos, which is why you must trust a reputable company for removal and you must never attempt to remove it yourself. When disturbed, vermiculite insulation can release asbestos spores that have been known to cause cancer. In order to protect yourself and your family, this is one job that should be left to the experts. 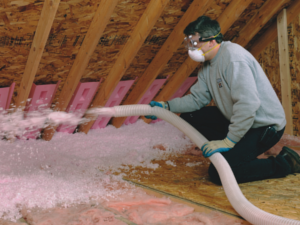 Established, and reputable attic insulation contractors will have the specialized equipment necessary to safely remove this material, without affecting the air quality within your home. Upgrades or Renos: If you are planning on upgrading your electrical system, or are in the process of a structural renovation of some kind, like heightening your ceilings, attic insulation removal may be necessary. The dirt, dust and dander kicked up by these types of renovations, can become imbedded within your existing attic insulation. This can affect the air quality within your home or building long after the upgrades are complete. Choosing to remove your current attic insulation, will reduce the likelihood of your household air quality being compromised. While some of these issues are quite obvious, you may not even realize how detrimental the state of your current attic insulation is to your health. By choosing not to remove your existing attic insulation you may be compromising the effectiveness of any new attic insulation being installed. If mold growth, water damage, or insect invasion goes unnoticed or ignored you may reduce the quality of air that your family breathes on a daily basis.